Trying to get more fish into your diet? I’m always trying to find new recipes for different healthy fish dishes to add some variety to the same ‘ole recipes that I usually use. 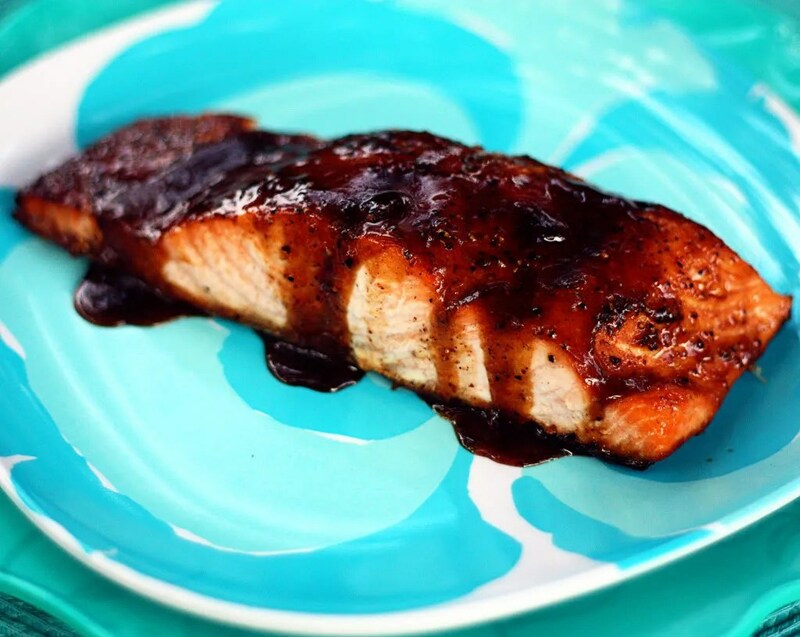 After making this Maple Glazed Salmon, I couldn’t wait to write about it! My family absolutely devoured it and were asking for more. I had to restrain myself from seconds…it was that good. It’s going to be one of our regulars! First off, it’s roasted in the oven under the broiler and only takes a whopping 10 minutes, start to finish! It has a deliciously sweet, light maple glaze that works with just about any side. We ate it with regular baked potatoes and roasted Brussels Sprouts. I think next time I’ll bake up some sweet potatoes. I think the sweetness of the potato will be a great compliment to the glaze. Plus…give me a shout out for your favorite fish recipe! I’d love to try it out! In a small bowl, combine the first 5 ingredients; stir well. Place salmon, skin side down, on a baking sheet coated with cooking spray. Brush the tops of each filet with maple mixture. Broil 10 to 12 minutes or until fish flakes easily when tested with a fork, brushing with maple mixture after 5 minutes and again after 10 minutes. Thank you! I love Salmon. 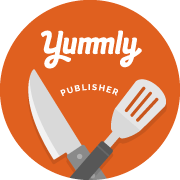 Give my salmon recipes a try and let me know what you think!